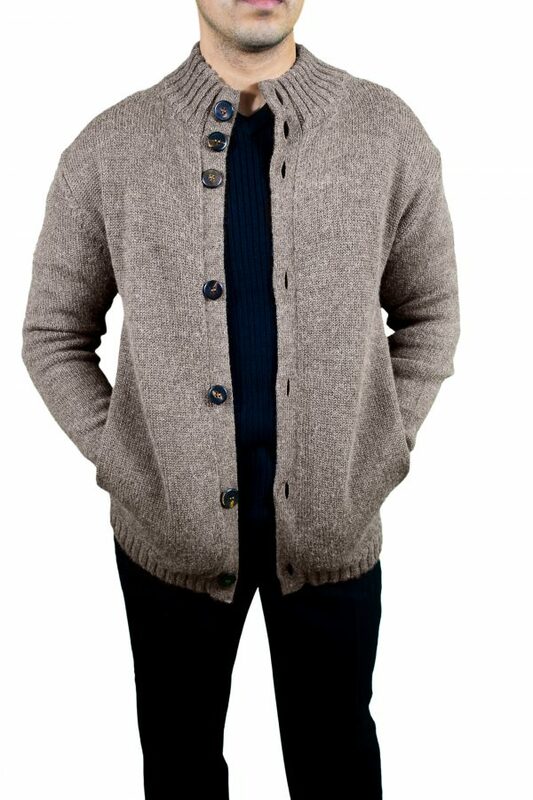 Masculine fitted cardigan jacket with a stand-up collar, wooden buttons and 2 side pockets. 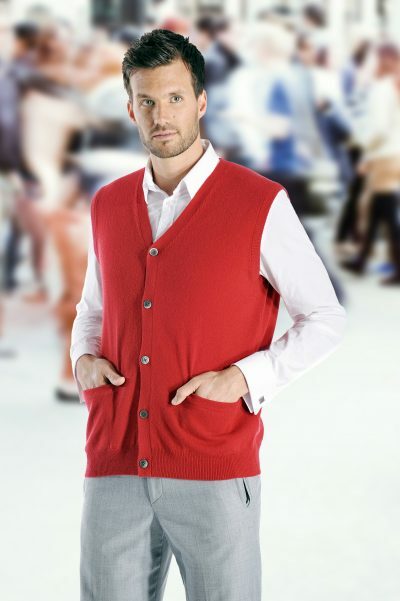 This front open cardigan sweater can be styled with jeans or casual pants to give a sporty or dressed-up look. 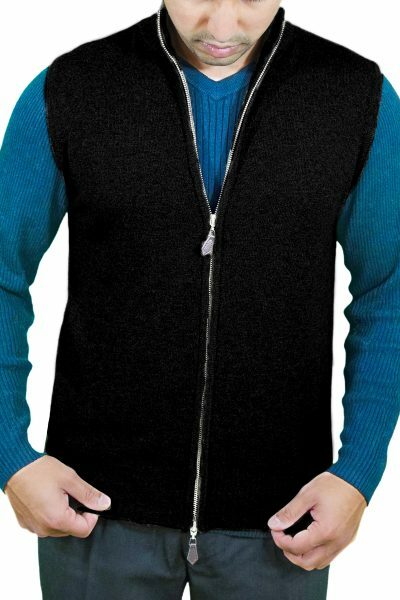 Perfect for layering on cold winter nights. 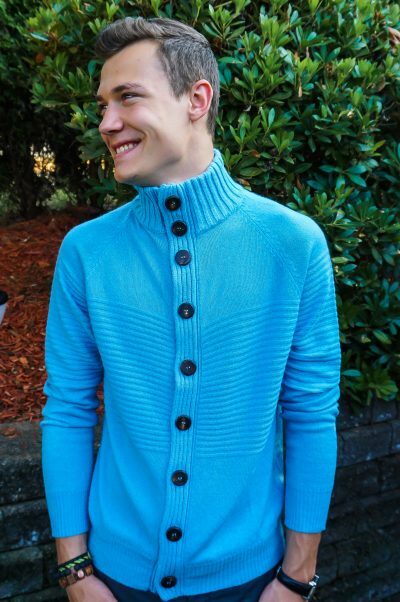 2.75 inches 2×2 rib on the cuffs and 1.5 inches on the hem.